No, we’re not talking about the President’s Cup competition that team America have just won once again, nor are we talking about the brainchild of Samuel Ryder. Instead, we are talking about an event that deserves equal attention and acclaim within the press as these two illustrious events. From 7th to the 9th October 2011, at the Slaley Hall resort in Hexham near Northumberland, two great golfing organisations got together for the first event of its kind. A team of English golfers from the Disabled Golf Society took on a team of Scottish golfers, organised by the Scottish Disabled Golf Partnership, in a 3-day “Ryder Cup style” event. Just as in the more famous event, Team Captains, Stevie Cunningham of Scotland and England’s Graeme Robertson, had to whittle down their selections from a number of players keen to participate. There were qualifying events held throughout the year across the country and the captains agonised over team selections. There were two marked differences about this event though, firstly everybody was an amateur and secondly, every player who played the game had some form of disability. The second day saw a four ball competition and both teams shared the points equally, meaning England held a slender lead going into the final day’s singles games. Though conditions turned unfavourable over the weekend, with wind and rain making conditions difficult, each team battled through and the standard of golf remained remarkably high. Once again, in the singles games, the two teams could not be separated sharing six wins apiece in the twelve games, meaning England edged the competition 12.5 to 11.5. Both the Disabled Golf Society and the Scottish Disabled Golf Partnership are now looking towards holding the event next year, when as Stevie Cunningham, Scottish Team Vice Captain said he hopes his side will “wrestle the cup back from the English”. Both the Disabled Golf Society and the Scottish Disabled Golf Partnership should be commended for their roles in organising such event. Both organisations are what is termed ‘pan-disability’ meaning that they do not preclude any golfer from participating, provided they have some form of disability. 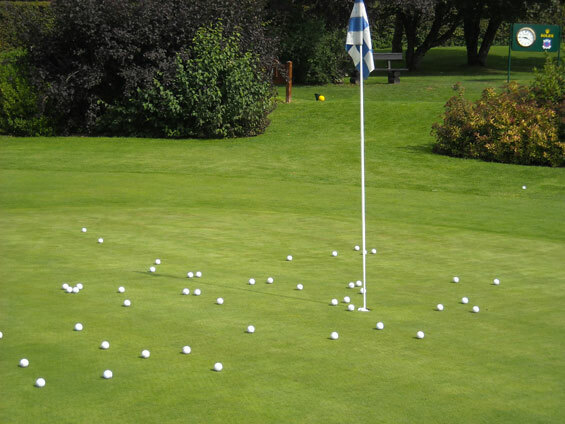 This is a notable step forward for disabled golf as a whole. In the past, groups have tended to group themselves according to disability, so you would have a society of golfers who were blind or another group of amputees etc. The DGS and SDGP took a different view of this and in accordance with the Royal and Ancient’s Modifications of the Rules of Golf for people with disabilities, have clearly demonstrated that people with all kinds of disabilities can compete fairly against each other in any format of the game you can play. Both societies have played an important role in promoting golf for disabled people in England, Wales and Scotland over the past couple of years. Given the success of the tournament at Slaley Hall and of many other tournaments held across the UK over the past few years, it looks likely to continue for some time to come. 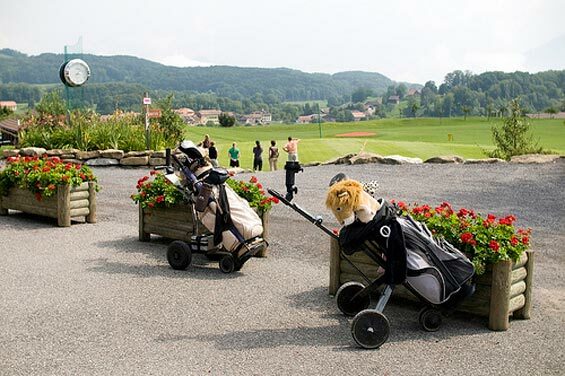 Perhaps what is more important for disabled golf, even more so than the specialist provision each of these societies provides, is the fact they are changing perceptions. They offer an inclusive perspective, rather than an isolationist one. For disabled golf, this is a huge move, especially as the European Disabled Golf Association want golf included as part of the Paralympics. The great work of these societies is not just evident in the fact more disabled people are attempting to play golf, attending competitions and events and forming new friends and links across the country, but also in how they are changing perceptions of disabled golf. 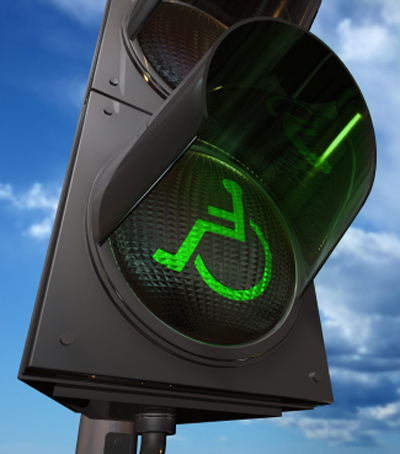 Instead of disability being divisive, it is now inclusive. That is a huge step forward for the game. Therefore, it is something of a shame that the events at Slaley Hall last month were not given more coverage in the press, not because of the fact the participants were disabled, but because of their golfing ability and the innovative, inclusive approach to the game shown by both societies which has genuinely moved and inspired people. 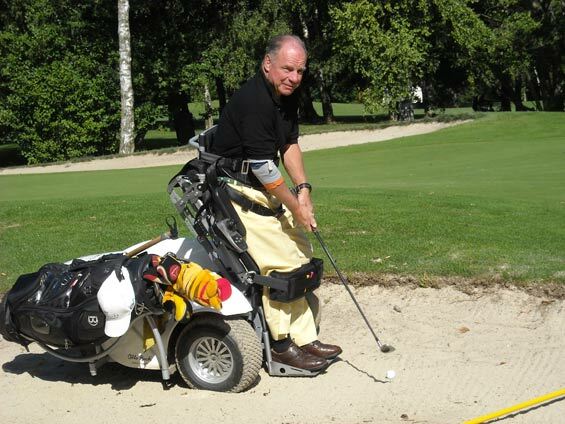 If you are interested in disabled golf, you can find out more and contact each society by visiting their web pages. THANK YOU Tommy Priest, after we published press release after press release, and tweeted our hearts out via #disabledgolf, an excellent article about the Auld Enemies Cup. One would think from a human-interest perspective at the very least, we should have achieved national press coverage. What a fabulous achievement by the Disabled Golf Society and SDGP. Thank you very much for your comment. To let you know, disabled golf is subject close to the heart of GorillaGolfBlog.com. We would appreciate knowing more about the Auld Enemies Cup. Please forward any information you have. Thanks. Tommy, you can contact me @rochapears and I’ll put you in touch with my husband Graeme, National Events Co-Ordinator for DGS. We also have a great store of photos from the event. Thank you Sue. I will contact you this week. Thank you Kevin – we will be posting others over the next several weeks and months to come. Respect! Respect to the organizers and the people behind this noble deed! … Inclusive society includes inclusive sports also! wish all the success!